While many of us are looking forward to spending Thanksgiving eating our entire bodyweight in turkey and carbs, some of you may not be so excited by that prospect. 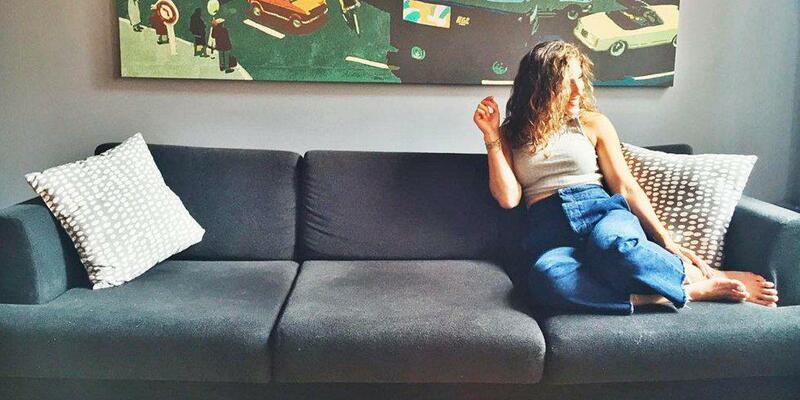 So you've found out that the Freshman Fifteen is actually a thing (which is rite of passage so don't sweat it) and so you want to go a little easier on the calories this Turkey day. 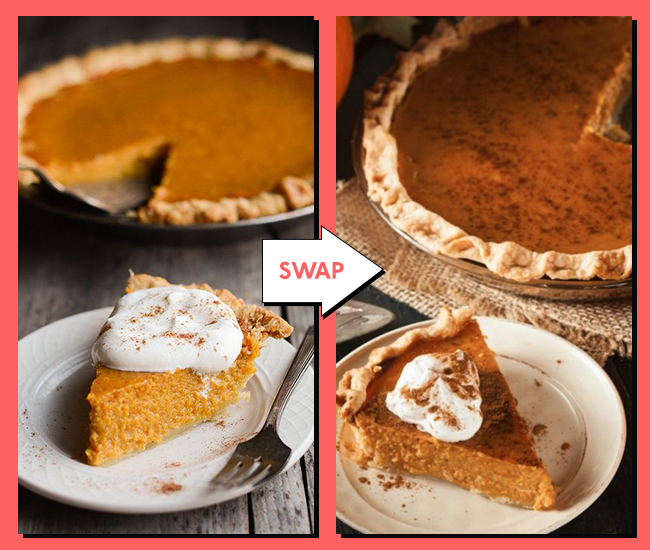 Well don't worry, there are some very simple swaps you can do that will make you feel like you haven't missed out without making your pants feel way tighter. 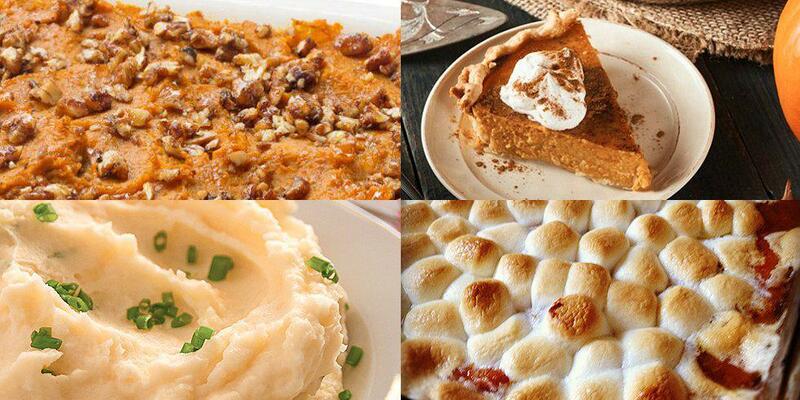 The naughtiest of all naughty thanksgiving foods - the candied yams! 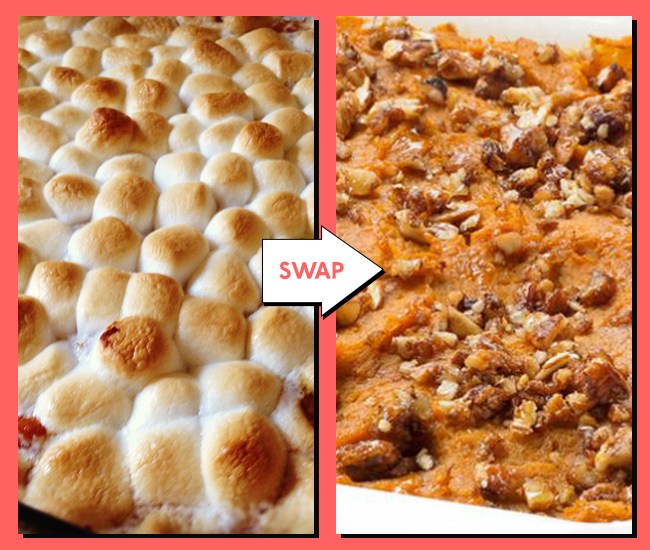 If you feel like cutting out the marshmallows but don't want to totally sacrifice the Turkey day tradition then try this sweet potato casserole dish with added pecan nuts. Because it's a vegetable, you would think it should be healthy but all the added cream and cheese means that creamed spinach is pretty much as bad for you as all the carby parts of your dinner! 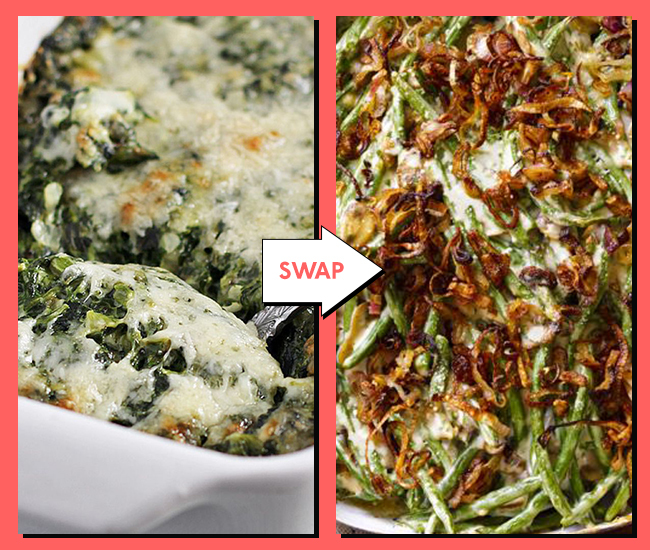 Simply swap it for this green bean casserole; you'll never be able to tell the difference! Dinner rolls are a great addition to your dinner but they also add extra calories! 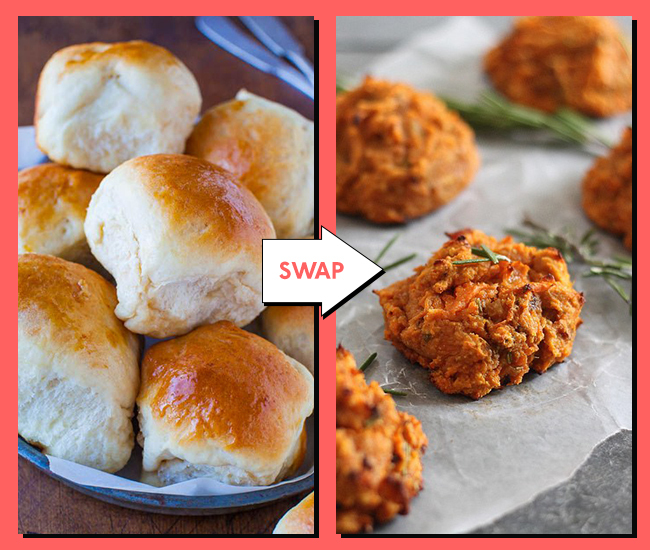 Swap them for these sweet potato biscuits instead to make them a bit healthier. 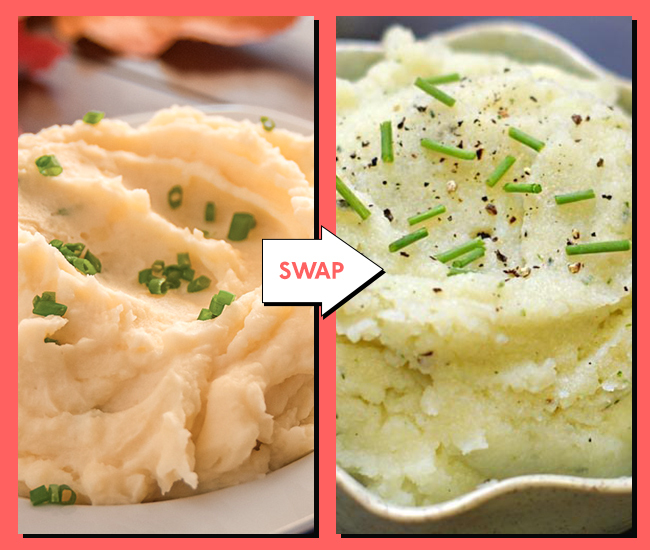 Mashed potatoes are the ultimate comfort food but with this sneaky little swap, you won't even miss them - cauliflower mash! 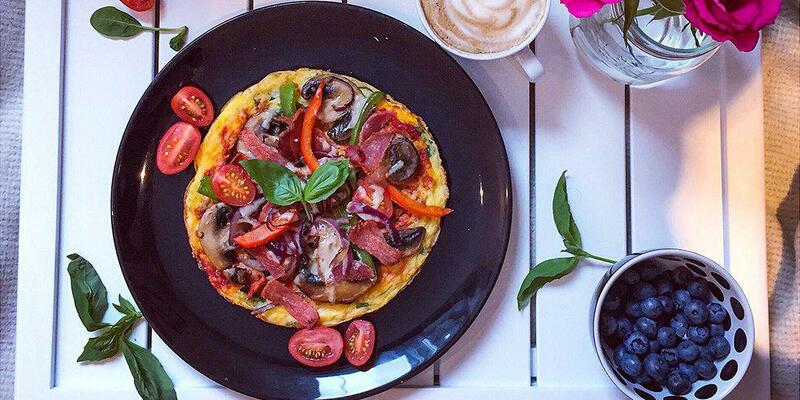 Cauliflower can literally be made into anything; rice, pizza base, you name it! 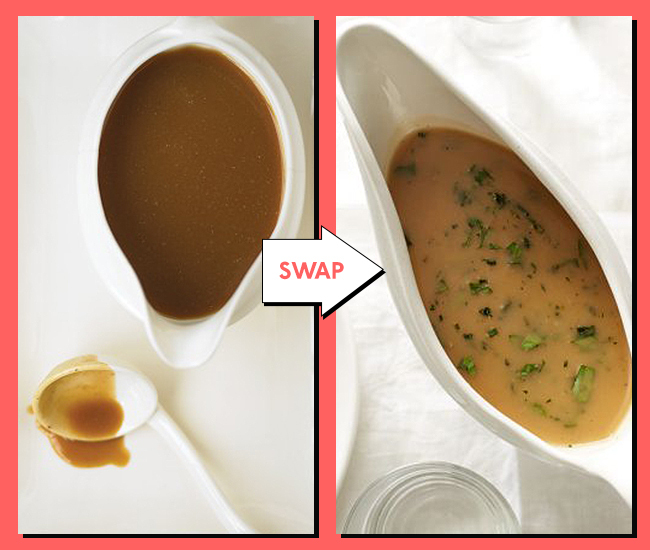 Gravy can contain a lot of fat which pushes your calorie count through the roof so by swapping to this vegan recipe, you'll make your dinner a lot healthier! 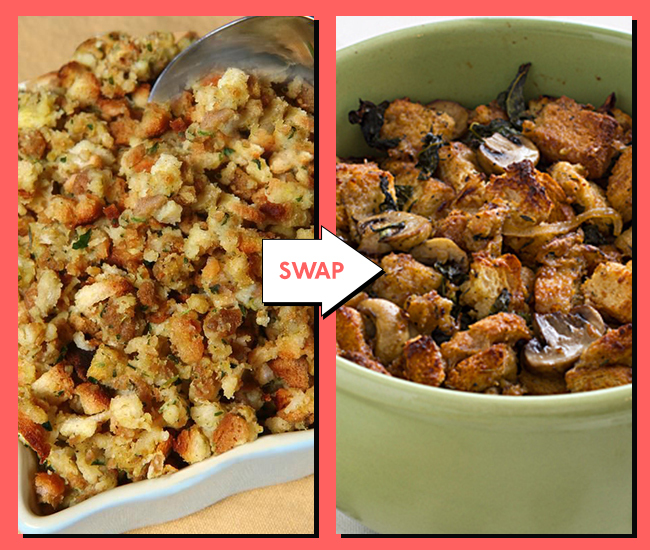 This gluten free stuffing recipe is an easy way to cut calories, as well as cram in more vegetables (than regular stuffing) therefore more goodness! Win - win! 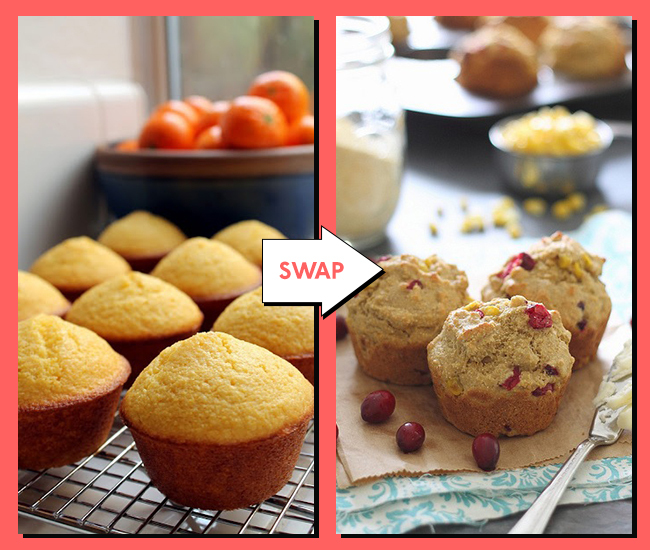 Cornbread muffins make a great side for your Thanksgiving dinner but they're pretty unhealthy - that is unless you try out this healthier corn and cranberry recipe. It wouldn't be Thanksgiving without a table filled with too much pie to count (never mind eat) and pumpkin pie is the ultimate classic. 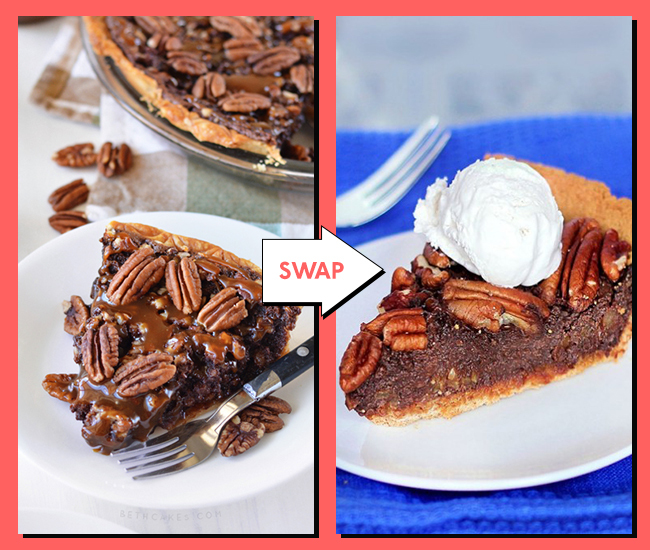 If you swap the classic for a paleo recipe then you won't have to feel as guilty about it! If you're more of a chocolate pecan fan then don't worry - there's a healthy alternative for you too!